If you are the owner of a new Apple iPad and don’t have much prior experience with the iPhone or iPod touch or similar Apple menu mobile devices, you might find syncing your iPad to iTunes a little bit daunting. When you first connect the device to your computer, Apple guides you through the setup, but at some point you will want to be familiar with the options available to you when syncing iTunes on iPad, which is basically the only way you manage most of your iPad’s contents, including music, contacts, photos, apps, and ebooks, and keeping it updated. This article will give you an overview for syncing your iPad with iTunes. More detailed information can be found in Apple”˜s own free iPad User Guide The 2 Free iPad Guide Books That Start From Basics The 2 Free iPad Guide Books That Start From Basics Read More and similar books. You might also want to check out my MUO article about the general settings Set Up Your iPad: Detailed Look at General Settings Set Up Your iPad: Detailed Look at General Settings Read More of your iPad. First off, I assume that you have already synced your iPad with iTunes at least once in order to get signed up. That process is required for you to own and use the iPad. If you’re like me, you probably won’t be syncing your iTunes on your iPad on a regular basis. It’s much better when you can sync and update content wirelessly than having to plug and connect the USB cord between your iPad and your computer. Syncing your iPad to your iTunes is mainly useful for adding songs, TV shows, podcasts, photos and other related content to your device. 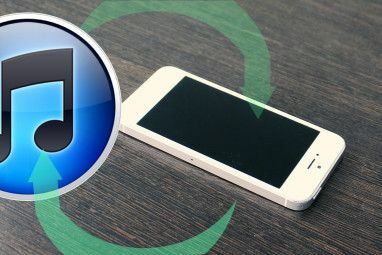 Some content like purchased iTunes songs, apps, and ebooks for iBook Reader can easily be downloaded wirelessly, via Wi-Fi and 3G connections from the iTunes App Store. By connecting your iPad to iTunes you get to see all your media content – apps, music files, movies, TV shows, podcasts, etc. One of the first things you can learn, if you have forgotten, is the memory capacity of your iPad. In other words, how much stuff it can hold. The above screenshot shows that my iPad can hold up to 14 gigabytes of content. 64GB is the largest capacity iPad model you can purchase right now. At the bottom of the information panel is a bar that illustrates a breakdown of content on your iPad. This is very important to know especially if your iPad is filled to capacity. If you’re new to the iPad, I’ll assume you haven’t added a lot of apps to your device. But basically, you will want to keep in mind that songs and videos will take up most of the space on your iPad. Photos, apps, ebooks, and other documents (e.g. PDFs, iWorks documents, other graphic files) tend to take up less space. In the left panel of the iTunes interface, when you click on the triangle of the iPad folder under Devices, it will reveal all the media files, except for your apps and photos, currently added to your iPad. Typically when the operating system (OS) of the iPad needs to be updated, it will be checked and done automatically by iTunes via a Wi-Fi connection. But if you have missed an update or you want to make sure that your device has the most recent update, just click the Check for Update button and you will get a report back. A recently released iOS4 for the iPhone is scheduled for the iPad next Fall. But there may be minor updates for the iPad before then. 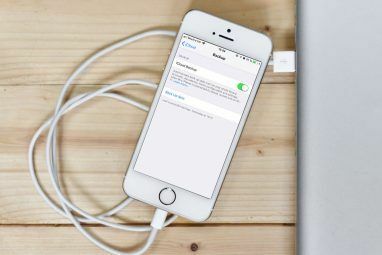 Each time you sync your iPad with iTunes, it will back up new content, such as new apps and documents, added to your iPad since the previous backup. It will not back up your songs and videos that already stored in your iTunes library. Depending on the size of the content, backing up and syncing the content of your iPad can take several minutes. If you need to know the last time your content was backed up, you can click Apple>Preferences>Devices. If you want to keep iTunes from automatically syncing your content when you connect it to iTunes, you can disable it on the Preference box. When disabled you will need to manually sync it by clicking the Sync on the bottom-right of iTunes. If you want to sync your device to add or delete content without backing up, you can cancel the process by simply clicking the little x in the progress bar at the top of iTunes. The same can be done if you want to cancel a sync before it’s completed. If you ever need to restore your iPad to its original state, you simply click the restore button. Official how-to details about restoring your iPad can be found here on the Apple site. The important thing to remember is to periodically allow iTunes to backup the content of your device just in case something happens. Open iTunes when this iPad is connected: You may want to uncheck this box if you often sync your iPad to another application, or simply want to manually open and run iTunes when you want the syncing process to occur. Sync only checked songs and videos: In iTunes you can actually uncheck songs and movie files so that iTunes won’t play them automatically. Checking this box ensures that your unchecked media files will not be synced to iTunes. Prefer standard definition videos: This generally refers to the resolution quality of the videos imported onto your iPad. High Definition video is typically of higher resolution than standard definition; however, high definition may result in larger files. Manually manage music and videos: Check this box if you prefer to manually select and unselect the songs and video content that you want to sync or un-sync on your iPad. If you leave this box unchecked and instead have iTunes automatically sync your media content, then all the media files will be grayed out when you click on the folders inside the navigation panel of your iPad.Manually syncing also means that you can drag and drop music and video files on your iPad, via iTunes. Encrypt iPad backup: If you”˜re importing sensitive data on your iPad, check this box if you want to encrypt that data when it’s backed up on your computer. 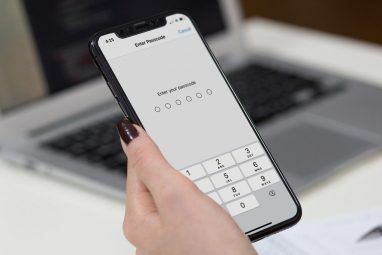 Note: if you encrypt your data and forget the password, you will not be able to, according to Apple, “restore from backup, and your data will be unrecoverable. For more information on encryption, see Apple”˜s official documentation here. Configure Universal Access: Click this box if you want to access features that are most often used for the visually and eyesight impaired. Clicking Voice Over, for example, speaks items that you tap and double-tap on the screen. If you click Speak Auto-text, it means that when you’re typing on the iPad, auto-corrections and auto-capitalizations will be also be voiced. These features can also be turned on and off in the Settings app of the iPad, under General. In part 2 of this article I will cover the other syncing features found in the other panels of iTunes. These panels include more about syncing music, books, podcasts, and the like. Feel free to ask any questions you have about syncing your iPad to iTunes. If there are issues that you run into with the syncing process, feel free to share them as well.